No longer is bacon simply a standard breakfast item. Now it’s a popular way to add flavor to all types of recipes including drinks, appetizers, and desserts. Your dreams have come true – candy that’s made with sweetened peanut butter and bacon and then dipped in chocolate. With a crisp bacon strip resting on top of the golden maple frosting, this cupcake is one of the most popular at the Dreamcakes Bakery in Birmingham. It’s like the flavor you get when bacon mingles with syrup while eating pancakes. In the ultimate combination of savory and sweet, this sandwich snack combines banana and bacon for an unbeatable mid-day treat. 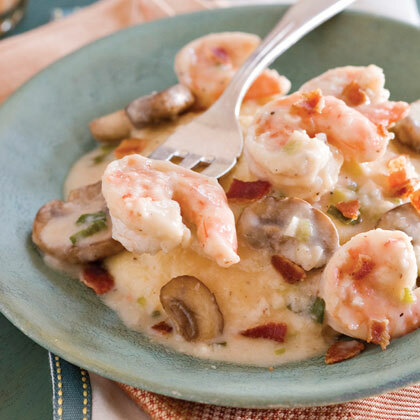 Make this Southern-style cheese spread even better by stirring in chopped cooked bacon. Two hot ingredients--bacon and Sriracha--update traditional egg salad in these hearty sandwiches. Filled with garlic, cream cheese, and bacon, these stuffed jalapeños are a must-serve appetizer at your next party. Take our word for it. In this 5-ingredient recipe, the classic sandwich gets an update that makes it fit for the dinner table. The "lettuce" in this BLT is actually tender baby spinach. Popcorn becomes an even more popular snack when you flavor it with crumbled bacon and Parmesan cheese. Top sweet figs with goat cheese and a pecan half, wrap in bacon and bake until the bacon is crispy. It’s a simple and sophisticated 5-ingredient appetizer that’s perfect for entertaining. Use bacon fat to add smoky flavor to sautéed vegetables, soups, and croutons. Or use it to make a vinaigrette, like this one. Sweet, savory, and salty: what more could you ask for? Fresh pears find new life when topped with center-cut bacon and a little balsamic glaze. Homemade focaccia is the base for this bacon-laden pizza. Juicy pears, tangy blue cheese, and peppery arugula complement the bacon's salty bite. Bacon and maple are a natural match—maybe why many people dip bacon into their pancake syrup. In this recipe, crumbled bacon is cooked into maple-sweetened waffles, so every bite contains that classic pairing. Wrap big, soft, luscious Medjool dates in bacon, then fry until crisp for a super-easy, 2-ingredient appetizer. Let your scones take a savory turn by adding chopped bacon, cheese and chives. 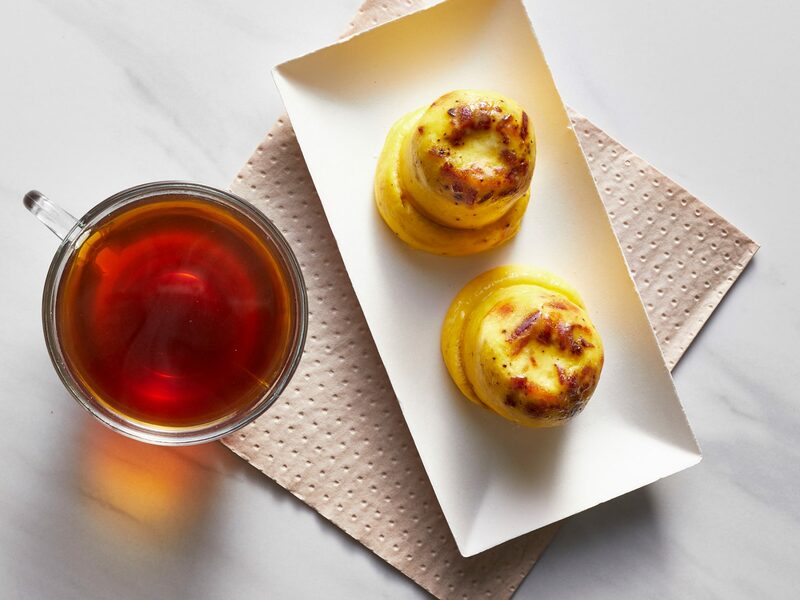 Serve these savory bacon-and cream cheese mini cupcakes as appetizers at your next cocktail party.